Chronic inflammatory diseases such as rheumatoid arthritis, ankylosing spondylitis, multiple sclerosis, inflammatory bowel diseases, and others typically stimulate a systemic response of the entire body. This response has a uniform character in many diseases because common pathways are switched on. The uniform response regulates systemic energy and water provision. However, long-term application of this program leads to typical disease sequelae such as fatigue / depressive symptoms, sleep disturbances, anorexia, malnutrition, muscle wasting – cachexia, cachectic obesity, insulin resistance, dyslipidemia, alterations of steroid hormone axes, disturbances of the hypothalamic-pituitary-gonadal axis, elevated sympathetic tone, hypertension, volume expansion, decreased parasympathetic tone, inflammation–related anemia, bone loss, hypercoagulability, circadian rhythms of symptoms, and disease exacerbation by stress . 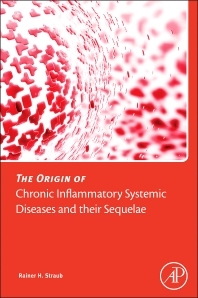 The Origin of Chronic Inflammatory Systemic Diseases and Their Sequelae demonstrates concepts of neuroendocrine immunology, energy and water regulation, and evolutionary medicine in order to show that the uniform response that regulates systemic energy and water provision, has been positively selected for acute physiological responses and short-lived disease states, but is a misguided program in chronic inflammatory diseases and aging. Are Disease-Related Genes Positively Selected During Evolution? Are Evolutionarily Positively Selected Mechanisms Always Advantageous for the Individual? Is the Proinflammatory Load High Enough to Induce an Energy Reallocation Program? Rainer Straub received his M.D. degree from the University of Freiburg, Germany, in 1988. 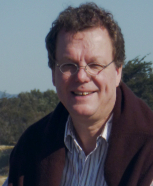 He began his training in Internal Medicine at University of Freiburg and, since 1991, in Regensburg, Germany. In the year 1994, he got a fellowship to study basic aspects of the neuro-immune synapse in the Dept. of Pharmacology at the University of Vienna, Austria. Back in Regensburg, he started a Rheumatology fellowship. In 1995, he joined the faculty at University of Regensburg as Assistant Professor of Medicine. In 1997, he received his Rheumatology board certification, and in the same year he became Head of the Laboratories of the Dept. of Internal Medicine I at Regensburg University. Since 2001, he is full professor for Experimental Medicine at Regensburg University. Dr. Straub’s research interest has focused on neuroendocrine immune aspects of the pathogenesis of rheumatoid arthritis and mechanisms of inflammation. He was among the first to demonstrate the loss of anti-inflammatory sympathetic nerve fibers in inflammatory lesions. Loss of these nerve fibers is most probably an active process mediated by nerve repellent factors. Dr. Straub also worked on abnormalities of steroid hormone metabolism in rheumatoid arthritis. They figured out the inadequate secretion of glucocorticoids and androgens in relation to inflammation. His laboratory has also worked extensively on the nerve fiber - immune cell contact, the neuro-immune synapse in the spleen. In recent years, he focused on aspects of evolutionary medicine, energy regulation, and volume regulation to explain disease sequelae in chronic inflammatory diseases. He was President of the PsychoNeuroImmunology Research Society (Journal: Brain Behavior & Immunity) in 2009/2010, Coordinator of the Neuroendocrine Immune Study Group of the American College of Rheumatology, and speaker of the German Endocrine Immune Brain Network (GEBIN). He gave the prestigious Philip S. Hench Lecture of the American College of Rheumatology in 2013, and he gave the Norman Cousin Memorial Lecture of the PsychoNeuroImmunology Research Society in 2015. He was a lecturer at the Nobel Conference No.44. He has published over 350 articles and chapters and has edited or written several books. He serves/served on several Editorial Boards, for example, Arthritis & Rheumatism and Rheumatology. Dr. Straub is presently the speaker of a German Research Foundation (DFG) – funded Research Unit at the University of Regensburg.